Timothy Hodson is a Hydrologic Technician with the Water Quality Investigations Section. His duties primarily involve maintaining the network of “supergages” that monitor water quality across Illinois and Iowa. Prior to joining the Illinois-Iowa Water Science Center in 2017, he worked with the Illinois Water Survey while conducting his graduate research on marine-terminating glaciers in Alaska and Antarctica. Some of his other interests include low-cost distributed sensor networks, interactive graphics and web maps, and sedimentary processes in aquatic environments. Tim earned his BS. in Geology and Geophysics from University of Wisconsin – Madison and his PhD in Geology from Northern Illinois University. Cochrane, Guy R.; Cochrane, Guy R.; Dethier, Megan N.; Hodson, Timothy O.; Kull, Kristine K.; Golden, Nadine E.; Ritchie, Andrew C.; Moegling, Crescent; Pacunski, Robert E.
Cochrane, G.R., Dethier, M.E., Hodson, T.O., Kull, K.K., Golden, N.E., Ritchie A.C., Moegling, C., and Pacunski, R.E., (G.R. Cochrane, ed. 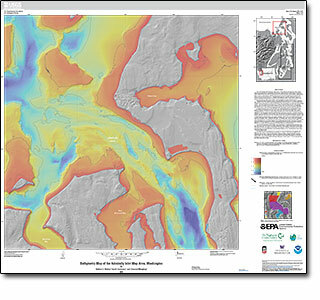 ), 2015, Salish Sea Map Series—Admiralty Inlet, Washington: U.S. Geological Survey Open-File Report 2015-1073, 34 p., 4 sheets, available at http://dx.doi.org/10.3133/ofr20151073. 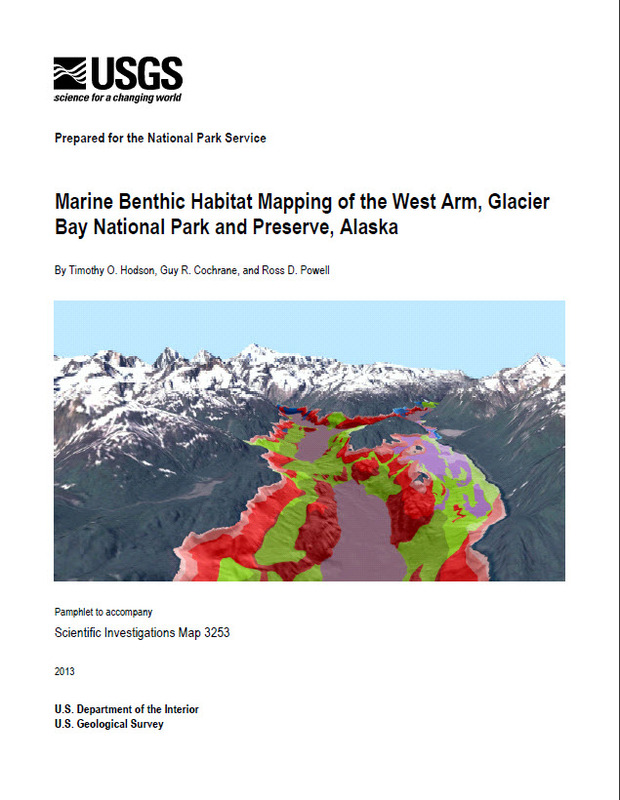 Hodson, Timothy O.; Cochrane, Guy R.; Powell, Ross D.
Marine benthic habitat mapping of the West Arm, Glacier Bay National Park and Preserve, Alaska; 2013; SIM; 3253; Hodson, Timothy O., Cochrane, Guy R.; Powell, Ross D.